I noticed the number of posts about the hottest month on record has dropped. Could that be because it has not been very hot, or that, at least here in the US, where it is hot is being balanced (slammed) by the areas that it is not. Take the Eastern Seaboard. Our Augusts are normally hot, humid. Not pleasant. Between hurricanes and constant rain since June, I am struggling to remember any days over 90 this year and certainly only on or two near 100. DC looks more like Seattle at the moment with the overabundance of rain and very little sun. The wines from Virginia just won’t be for 2018. And then, there is this. Snow. Inches of snow. 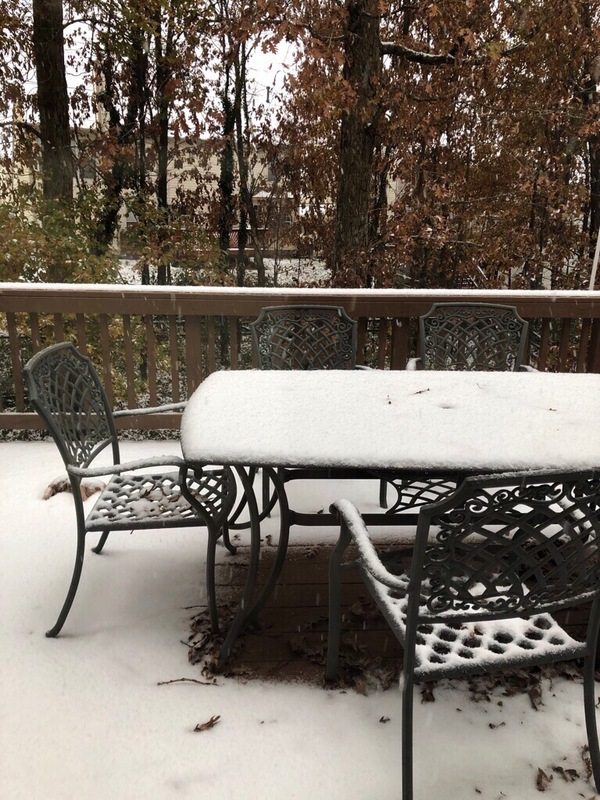 According to Al Roker, the DC area has not had measurable snow this early since the late 1980s. The last couple of years we have been wearing light jackets well into January. Climate is changing. It does. That is the nature of climate. But I am not liking the weather much either.